We all know there's tons of OBD2 scanners out there. We did a﻿﻿ ﻿﻿review on our favorite five not long ago. But those are more for like, the average consumer. For us professionals, we want stuff that will last years and allows us to work with virtually any car, and do any operations we might need to. So, to help you find the best professional automotive diagnostic scanner for your needs and budget, let's have a look at 3 of the very best machines available and also included what's my budget choice and would also qualify as a proper "professional garage" kind of tool. This is a truly high performance automotive diagnostic scanner with a lot to offer the driver. They boast that the diagnostic scanner on this unit is one of the best in the industry, and there is no way that we could tell for sure without testing it against others, but we do know that it has a lot to offer. It gives you everything from OBD2 diagnostics and services to advanced ECU coding and programming. Multi-tasking technology so that you can manage all of the applications and operations within your vehicle in one unit. Most of the software functions of this diagnostic scanner are automated, including system and software updates. This unit is totally functional with a wide variety of vehicles and include 80 makes and models across the US, Asia, and Europe. This particular model features advanced ECU coding and programming. The OBD2 scanner diagnostic services that is equipped with this unit gives you a phenomenal OE functionality diagnostic tool. One thing that you will really enjoy about this particular system is that many of the functionalities are automated, including an automatic OBD2 scanner system and automatic software updates. It even gives you messages via its own messaging systems, and gives you automated software updates. Not only does this scanner provide a wide variety of utility in terms of the software, it is also covered in a highly durable, rubberized outer shell and a heavy duty internal housing so that your device is always protected. In all honesty, it’s very difficult to spot a downside with this scanner, other than that you have to pay an annual fee to update it, but that’s even optional. All Autel products in this review have that same optional feature. Even though this model is a step down from the MS908P in terms of features, performance, and technicality, there are few things drawbacks to this model in terms of what you get for the price. Even though it doesn’t have the retina display that the pro version has, it still features the same 9.7 inch capacitive display with multi-touch technology that makes this unit really easy and enjoyable to use. It runs on Android’s 4.0 ice cream sandwich software, and is powered by a Cortex A9 quad-core processor for lightning fast responsiveness. This unit also features wifi connectivity so that you can access your information conveniently from anywhere, and it has a built in lithium ion battery that you can use for up to 8 hours continuously before you need to charge it again. It also includes a 5 megapixel rear-view camera to make it a little easier to put your vehicle in reverse. If you don’t need the bells and whistles that come with the pro version, this model would be a great way to go for a quality diagnostic scanner. The Autel MaxiDAS DS808 is a step down from the MS908, and provides another more affordable option for quality diagnostic automotive scanning. It gives you everything that you need in a quality scanner on a slightly smaller display. You still get the fast quad-core processor and the Android operating system, without a retina display or higher definition LCD display. The great thing about this scanner is that you still get all of the great data gathering capabilities and display technology that conveys your car’s information in easily readable charts, graphs, text, and reports. Your customer information and your car’s information is still backed up to the cloud, and you get the same great remote customer service from the experts at Autel. What’s really nice about this Autel unit and the other higher level models that this company manufactures, is the integrated cloud technology that comes with them. This model stores all of your customer information, vehicle information, scanner data, and technicians notes in Autel’s cloud computing service. With the purchase of this scanner you also get remote access to technical support from the experts at Autel. This model also gives you the ability to connect to your printer via wifi, so that you can print out any current and relevant readings and reports from your vehicle. After giving you an overview of some of the highest performing diagnostic scanners, we wanted to make sure that we gave you a look inside a budget option as well. 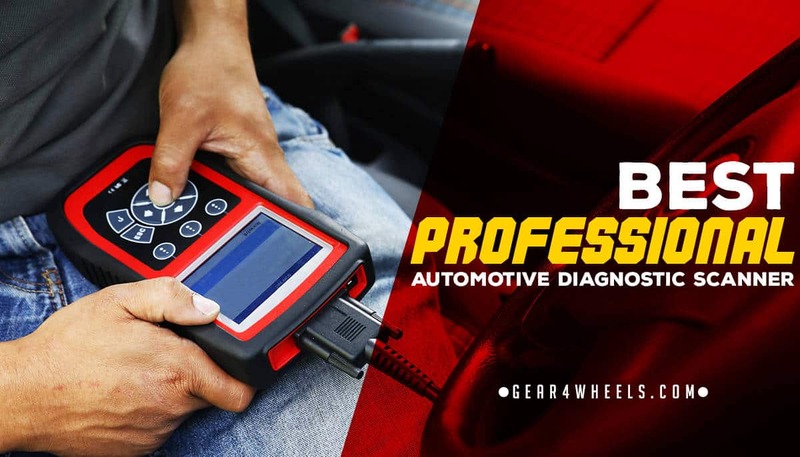 This basic scanner from Innova is great if you just need a basic personal diagnostic scanner that is going to tell you exactly what is going on with your car in terms of issues and performance. So out of all of these quality scanners, which one do you think is the best choice for you? If you are a professional mechanic and are looking for the perfect diagnostic tool for providing quality service, we believe that the Autel Maxisys Elite Diagnostic Tool is going to be the best choice by far. In terms of performance, speed, features, technical aspects, and versatility this diagnostic scanner is unmatched by the other scanners in this review. If you are professional mechanic, providing the best service possible comes with your experience, and having the right tools for the job.